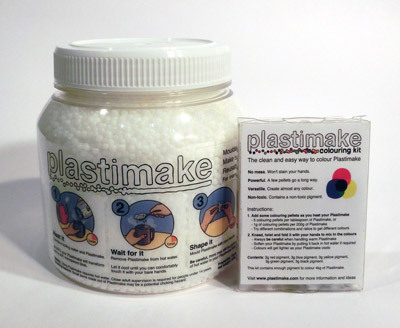 Would you like to win some free Plastimake? Every month we're awarding an awesome prize to the maker of our favourite Plastimake project! It's no secret that we love seeing all the creative ways that people use Plastimake - that's why we've collected over 400 Plastimake projects since 2011. Now there's an extra incentive to share your Plastimake project with the world. At the end of each month we'll review all the submitted Plastimake projects and select our favourite. Each project will be judged on: originality, creativity, practicality, cleverness, novelty, beauty and ingenuity. The winner will receive an 800g jar of Plastimake Sculpting Formula and a Plastimake Colouring Kit. That's $50 worth of Plastimake! Your project has to be something new that you haven't already submitted, and you can only win once per year. Now it's time to put the kettle on, get your camera ready and make something great!